Dont expect this Nurse's bedside manner to be up to scratch, she's more interested in eating you rather than treating you! 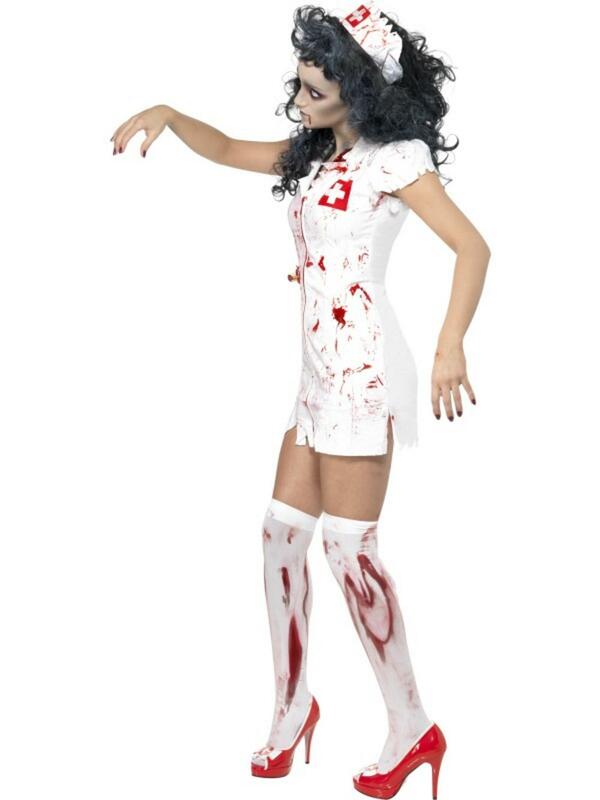 The fantastic terrifying costume contains everything for turning yourself into an undead nurse and comprises of a torn white nurses dress covered in realistic fake blood, a white facemask again covered in fake blood. Completing the look is a matching white nurses hat. 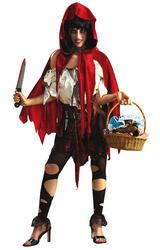 Perfect for making a big impression at any fancy dress party and particularly popular for Halloween.